Living in and visiting countries abroad can be an adventurous and fascinating experience. The calm lifestyle is a treat after living in the hustle and bustle of the U.S. No one blames you for wanting to ditch the concrete jungles for sandy beaches and Pina Coladas. As you may know, a lot of the areas in which people like to spend their retirement or time abroad in Central America are greatly developing. Though the tourist industry makes a positive impact on local economies, there are some areas that could be improved. Issues concerning public health, education, and poverty are still prevalent. Wouldn’t it be great to be able to give back while you are spending your retirement in the Caribbean? Or get involved while studying abroad? There are volunteer opportunities all around the world, many dedicated to helping visitors contribute to local communities. This is your new community, make sure you take care of it. Many programs cater to groups of people volunteering for causes such as public health, environmental issues, and poverty. Programs like these have many avenues in which travelers and tourists can contribute to the cause during their short stay in the country, by spending time with organizations or making small contributions either with money or supplies. Here are some of the wonderful nonprofit organizations dedicated to improving the lives of Central Americans. There are many more out there, but this list is a good place to start looking. Based in San Pedro, the program focuses on community outreach and awareness in unprivileged areas. Volunteers work alongside medical professionals to plan and run outreaches and public health campaigns. The aim of the campaigns is to raise awareness of healthcare issues like sexual and reproductive health and HIV/AIDS. Kaya is an organization that feels that travel shouldn’t just be for tourism. By traveling responsibly, you can make a difference. The organization chooses sustainable, locally-led, and ethical projects to deliver a positive impact to local communities and environments. Anyone can get involved. They offer volunteer opportunities, internships, and study and service abroad opportunities. They offer placement for participants of all ages and durations from 2 weeks to a year. Founded in 1988, LACF works to improve the lives of children in schools and orphanages in El Salvador, Guatemala, and Nicaragua. Through all-volunteer work, the organization has been able to supply medical care and equipment, scholarships for education, and improving orphanages. The organization began in 1988 after founder, Florence Mediate, was returning to her hometown in El Salvador to visit relatives. She was unhappy to see the children with very little clothing, no toys, and no blankets or sheets for their beds. After returning home, she shared her story and, with the help of friends, the Latin American Children’s Fund was started. Pack for a Purpose is a charity dedicated to allowing travelers to make an impact on communities around the world. No matter where you visit, this nonprofit helps you make a meaningful contribution by supplying communities with items they may not be able to acquire otherwise. It is very easy to get involved with the project. You simply have to go to the website and select your destination. They will guide you through the rest from there. Casa Esperanza is a UNICEF-backed organization that works hard to help children get the education they need. Thousands of children in Panama are forced into the workforce in order to make ends meet for their families. The organization helps children get out of the workforce and back into schools by helping children pay school fees and helping out with meals while they are in the Casa Esperanza center. This Belize-based organization works to conserve and preserve the natural treasures found in Belize…and there are many. They focus to maintain the coastal villages in the central southern region of Belize. 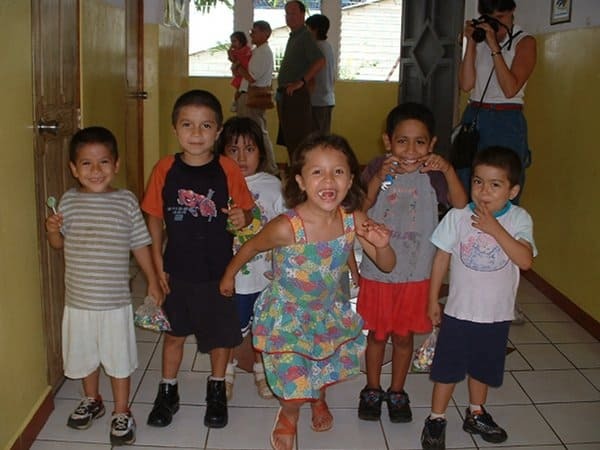 Through donations, sponsorships, volunteering, and fundraising, Casa Guatemala provides education, nutrition and healthcare to children of Rio Dulce, Guatemala. Casa Guatemala wants to empower children to become working citizens in their community by equipping children with skills and education. They believe that educating children is the first step to breaking the cycle of poverty in their communities and improving life for their families.